Anjali adopts a critical and creative approach to problem-solving. Her commercial aptitude and analytical skills have been refined through her work as a corporate lawyer and an academic. She has worked extensively with private sector clients and not-for-profits and has unique insight into the practicalities of implementing strategic changes in the education sector. A consistent feature across Anjali’s experience is her passion for social impact and creating shared value. Co-founded a not-for-profit organisation that designs leadership and social initiatives to inspire school students to consider tertiary studies in business, law, science, technology, engineering and maths and has affected over 1000 students to-date. Before joining Nous, Anjali worked as an academic at the Centre for Social Impact with a focus on the strategic, economic and social synergies that can be created by utilising private sector resources to achieve positive impact. Prior to this, she was a solicitor at DLA Piper, working across the Pro Bono, Litigation & Regulatory and Intellectual Property & Technology teams. She was admitted as a solicitor of the Supreme Court of New South Wales in 2016. Anjali has completed international research placements at the East-West Center in Washington DC and the Financial Action Task Force in Paris. During these internships she was responsible for assessing the impact of microfinance loans on women in rural India and Bangladesh and evaluating the anti-money laundering and counter-terrorism financing measures of various jurisdictions. 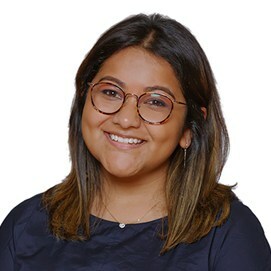 Anjali holds a Bachelor of Commerce (Finance) and a Bachelor of Laws from the University of Sydney, as well as a Graduate Diploma of Legal Practice. When Anjali is not planning her next trip, she is exploring the arts through dance, exhibitions and plays. She is passionate about reading, yoga, food and the latest episode of Survivor.